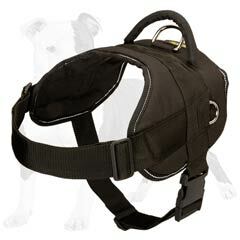 Quality durable harness that doen’t get spoiled under rain and is easy in use - is it a dream? No! 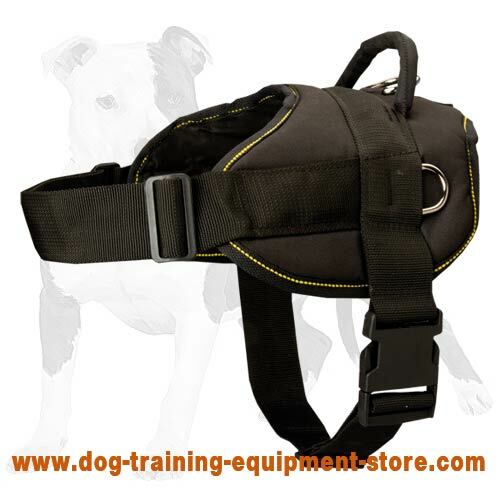 It is our Nylon Dog Harness Multifunctional. 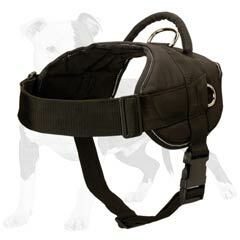 Due to its convenient design, this harness will do for almost any occasion! 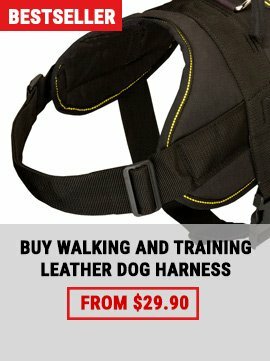 You’ve never had a dog before and have no idea how to use dog equipment - do not worry as using this harness is simple like breathing! 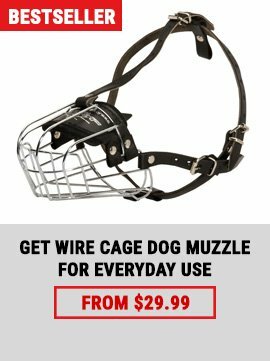 Spend time together with your dog without any problems! It is extremely practical. Nylon is a very durable water resistant material. It doesn’t require any special tools, skills or substances to protect its good look. Nylon perfectly stands bad weather and you can wash it like you do with your clothes when they become dirty. The straps and the back plate are wide enough for not to cut into the skin. They do not cause rubbing, irritation and rashes as well. The harness is adjustable at 2 different places. 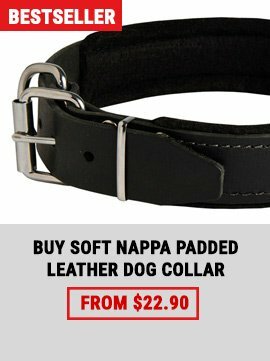 It means that you can fit it 200% comfotable and snug for your dog. It won’t slip out of your dog’s body or rub it. The harness saves your time and moneyl You do not need to adjust it each time because it can be put on and off be means of easy quick release buckle - one click buckle similar to those on the security belts in the cars. It will take you just a few seconds to fasten it. If your dog behaves too much aggressively or excitedly you can control him easily! You just need to pull the handle on the back of the harness. It is located at the most comfortable distance for your hand so when you need to grab it you just do it instead of searching where it is. This harness can be used for lots of activities due to its light weight and practicality. For example, it is one of our best tracking harnesses as it is not heavy and it stands bad weather super well so a dog can wear it for a long time and at any weather conditions. Due to the side D-rings this harness can be used for pulling. 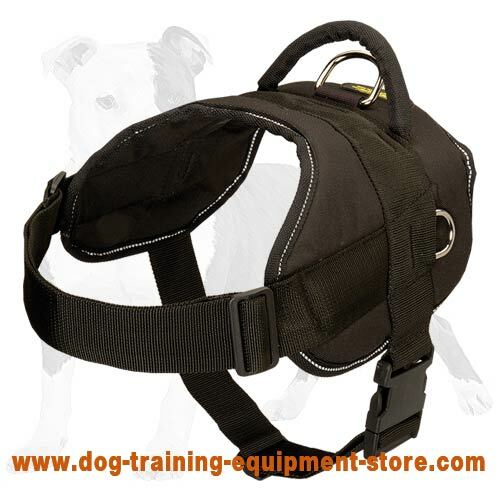 A cargo or a sleds can be attached to it - using this harness for training or for having fun with your dog is up to you! However, it is an excellent gear if you are going to build muscles of your dog or use him as a sleds pulling dog. The harness is awesome for night walks! If you like walking near the highway at night time, it is better to be visible for drivers. Order reflective trim for this harness and be always noticed from long distances at night. Follow your wishes and avoid accidents!